The weather outside might be frightful, but inside Rare Books and Special Collections is so delightful. 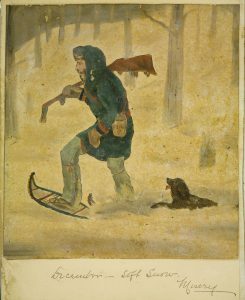 To warm your heart and ward off any winter blues, we have put together a selection of winter-themed items from our archival and library collections. The display features photographs and postcards from the Uno Langmann Family Collection of B.C. 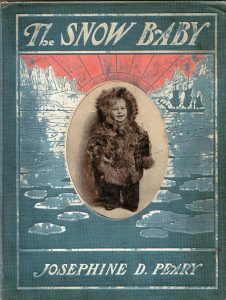 Photographs, original drawings from the H. Bullock-Webster fonds, and a variety of books and pamphlets, including a number of items from the Arkley Collection of Early and Historical Children’s Literature. The display is free and open to the public at Rare Books and Special Collections through the end of January 2019. The RBSC reading room is open Monday through Friday from 10 a.m. to 4 p.m. For more information, please contact Rare Books and Special Collections at (604) 822-2521 or rare.books@ubc.ca. And if you need more holiday cheer in your life, our colleagues at David Lam Library and the Canaccord Learning Commons will be hosting a Winter Celebration Event on Friday, November 30, from 1-3 p.m. Join them for an afternoon of wonder with singing, hot apple cider, and maple cookies. You will also have a chance to take pictures with Santa and craft personalized cards and gift tags that you can bring home! Oh what fun! After the event, you can begin your countdown to Christmas with the Canaccord Learning Commons’ advent calendar.